The Centre is pleased to announce Dr. Marwan Muasher has joined the Board of Directors. Dr. Marwan Muasher is vice president for studies at the Carnegie Endowment, where he oversees the Endowment’s research in Washington and Beirut on the Middle East. Dr. Muasher served as foreign minister (2002–2004) and deputy prime minister (2004–2005) of Jordan, and his career has spanned the areas of diplomacy, development, civil society, and communications. He was also a senior fellow at Yale University in 2010-2011. Dr. Muasher began his career as a journalist for the Jordan Times. He then served at the Ministry of Planning, at the prime minister’s office as press adviser, and as director of the Jordan Information Bureau in Washington. In 1995, Dr. Muasher opened Jordan’s first embassy in Israel, and in 1996 became minister of information and the government spokesperson. From 1997 to 2002, he served in Washington again as ambassador, negotiating the first free trade agreement between the United States and an Arab nation. He then returned to Jordan to serve as foreign minister, where he played a central role in developing the Arab Peace Initiative and the Middle East Road Map. In 2004 he became deputy prime minister responsible for reform and government performance, and led the effort to produce a ten-year plan for political, economic, and social reform. From 2006 to 2007, he was at the Jordanian Senate. Most recently, he was senior vice president of external affairs at the World Bank from 2007 to 2010. He has authored two books, The Second Arab Awakening: And the Battle for Pluralism, published by Yale University Press in January 2014 and The Arab Center: The Promise of Moderation, also published by Yale University Press in June 2008. Dr. Muasher serves on the American University of Beirut’s board of trustees since March 2007. He lives in Amman, Jordan. Official Opening of the Global Centre for Pluralism. I think those words capture something of the creed of this Global Centre for Pluralism. The world is your country. The human race is your race. I’ve had the pleasure of hosting a number of you who serve on the Centre’s board at Rideau Hall several times during my mandate. And I’m inspired by what all of you are achieving here. This centre is a beacon of internationalism and humanism. It shines brightly. Thank you all, and a special thank you to His Highness the Aga Khan for showing such dedication to pluralism and to strengthening Canada’s commitment to and leadership of this critically important issue. Your Highness, establishing this centre in our capital city is a wonderful gift to Canada. I often speak of the importance of knowledge diplomacy in our world, which I define as the process by which distinct peoples and cultures improve lives by sharing knowledge across borders and disciplines. The Aga Khan is a wise practitioner of this brand of diplomacy. He appreciates that the success of our increasingly interdependent world is based on people of many faiths, cultures and values expressing tolerance, openness and understanding towards others. The depth of His Highness’ commitment to diplomacy and pluralism is profound. I know this from personal experience. We first met at another official opening, 36 years ago, in Karachi, Pakistan. The details may differ but the underlying theme is the same: diverse peoples working together to improve lives. Back in those days, I was serving as principal of McGill, and I had the privilege of being present at the birth of a wonderful partnership between the Aga Khan University and a number of North American universities, including McGill. This partnership saw renowned epidemiologist Walter Spitzer and his team working closely with their Pakistani counterparts to share McGill’s lessons learned in establishing a successful community medicine model. Thanks to this collaboration, the new Aga Khan University Hospital was able to build on McGill’s experience in deploying public health services in the community. I was and remain so impressed by the boldness of that initiative. The goal was ambitious: bring the best of Western medicine to a country with distinct customs and traditions. This goal was only achieved by showing a great deal of cultural sensitivity. In essence, this is the challenge of pluralism. How do we ensure respect for diversity while sharing ideas and resources in order to improve our lives and societies? Your mission at the Global Centre for Pluralism is to advance respect for diversity as a new global ethic and foundation for inclusive citizenship. And these headquarters are a place for learning and sharing the lessons of pluralism from a Canadian perspective. I’d like to say a few words about the importance of that mission, as well as Canada’s unique opportunity to lead. First, why does pluralism matter? The answer is as straightforward as it is urgent. Pluralism is critical to the long-term peace and prosperity of societies worldwide. Without a commitment to pluralism, diversity can too easily become a source of conflict and division. Too often we have seen those conflicts and that division occur. We develop a narrative and approaches that ensure diversity is properly understood as a source of strength and prosperity. In other words, (1) we need to develop and tell a compelling story. And (2) we need ideas and plans for action that allow that story to unfold. If diversity is to be an asset and not a liability, we must allow diverse peoples to reach their full potential and to contribute as full and equal partners in our society. We must empower people to succeed. This is crucially important. In other words, we must be inclusive. Louise Arbour recently spoke about this in her new role as the UN’s special representative on international migration. She, too, emphasizes the importance of a new narrative around pluralism. Pluralism will succeed if we’re able to tell the most convincing story. Why? Because a good story is more than just words. A good story both reflects and creates reality. A good story can help us to reimagine our lives and society, to imagine possibilities. And a good story can guide us toward taking right actions for change—actions that are consistent with our story. Let me tell you one recent story that comes out of Canada’s response to the Syrian refugee crisis—especially that of private citizens. Here in Canada, when we look around for this pluralism story, and listen for it, we begin to realize that in fact it isn’t a new story we need, but rather a very old one that continues to unfold. It’s a story of partnership: balanced, reciprocal and respectful. This old story predates Canada itself, to at least the time of the Royal Proclamation in 1763, which laid the basis for the treaty relationship between Indigenous and non-Indigenous peoples. And we are better off as partners. Those truths, that story, are the beating heart of our modern, pluralistic society. Listen to it, and hear the Confederation debates taking place in the colonial legislatures and the homes and gathering places of ordinary people in the years prior to 1867. Listen to it, and hear more than 200 languages from around the world spoken today in Canada, and the estimated 65 Aboriginal languages spoken in Canada. Canada has an opportunity—a responsibility, perhaps—to demonstrate how pluralism is a viable, and perhaps the only, path to lasting peace and prosperity. What is this confederation if not an exercise in pluralism among diverse peoples? People sometimes dismiss a commitment to diversity as starry-eyed idealism. It’s anything but. In a diverse, globalized, high-tech world, nothing could be more pragmatic than an inclusive, pluralistic society. Diversity helps us to enrich our society, to better understand other countries and to forge connections with people around the planet. Now, I don’t need to tell you we have no reason for complacency here in Canada. Terrible, violent rejections of pluralism can and do happen here. Where Canada has failed in the past—for example, the disastrous residential schools policy—it has been in trying to reduce diversity and restrict inclusiveness. And where Canada has succeeded, it has been through a commitment to inclusiveness—to pluralism. Canadian society is at its best when it mirrors its geography: broad, expansive, diverse. Canada is a constantly evolving experiment in inclusiveness and making pluralism work. This is what positions us to tell the pluralism story not just here in Canada, but around the world. And that is why your work at the Global Centre for Pluralism is so essential both for the Canadian experiment and for the capacity of people everywhere to live with difference—to live pluralism. I wish you the very best in your magnificent quest, and in your beautiful new home. Following is a response from Khalil Andani regarding two articles on CBC. I am writing with respect to two articles you published this week on CBC News online concerning the Aga Khan's Bell Island and the Aga Khan's visit to Canada. I understand that you must be receiving some very positive feedback on this piece of very thorough investigative journalism. As a Chartered Accountant, former auditor, and current PhD candidate at Harvard where I academically study the history of the Ismailis and the Aga Khan, I wanted to offer a few comments and questions on your two pieces. I submit these comments to you in humility as a Canadian concerned about informed public discourse and as an academic with some expertise researching Ismaili Muslim history. 1. Your piece "Aga Khan Island..." was published the very same morning the Aga Khan was opening the Global Centre for Pluralism. As you know, the construction of the Global Centre had been announced in 2005 and has been in the works for years, leading to this week's highly anticipated opening - over 10 years in the making. It would have been beneficial to Canadians and the world for the Global Centre's opening to receive full media coverage without distraction - given the rise of populism and racism in the West. However, your article seems to have been released the same morning precisely to overshadow and direct the Canadians' attention away from the Global Centre for Pluralism's opening with the Aga Khan's visit. Was this timing intentional or necessary? Do you think it served the public interest by taking attention away from a joint Canada-Aga Khan project that aims to help the state of the world? 2. Upon reading your piece very carefully, the only fact established by your investigative journalism was the existence of offshore companies in a corporate structure being used by the Aga Khan; the rest semed to be speculative commentary and opinion by individuals who, quite frankly, know very little about the Aga Khan and his affairs. As a former auditor, I am aware that these types of corporate subsidiary arrangements are routine for international investors who own properties across the globe and the sheer existence of such structures are not evidence of tax evasion. It is not unexpected for, say, a Bahamas Island to be owned by a Bahamas registered company and for that company to be linked to "offshore" companies when the owner himself lives off shore and is not from the Bahamas. Nevertheless, this knowledge may not subsist among the Canadian public. However, the thrust of the article suggests or insinuates that the Aga Khan, by employing this structure, is intentionally evading taxes -- your article contains 6 paragraphs that mention tax avoidance or evasion, and the second article contained 4 such paragraphs. Even if this is not the intent of your article, the repeated focus on tax evasion makes it come across in such a fashion. But is there any instance over the last 60 years where the Aga Khan was found doing tax evasion? If not, then what warrants the repeated suggestion of tax evasion by the Aga Khan? Further, the Aga Khan is not resident in Canada for tax purposes, he resides in France and he is British; so why is his possible tax noncompliance, with commentary from Canadian tax experts (RCMP, FINTRAC) who know little about the Aga Khan, the main content of the article? 3. In your profession, you are aware that context is everything. Presentation or omission of contextual facts in a journalistic story changes the entire message of the story. On this note, I was curious as to why your article - which effectively suggests malevolent intentions of tax evasion by the Aga Khan - omitted and neglected to mention some key facts about his activities in Canada. For example, while you mentioned how the Canadian Government contributed $30 million to the GCP's Endowment, you neglected to mention how the Aga Khan contributed $10 million to the GCP Endowment and $35 million to the GCP's construction work totalling $45 million (as per GCP website & GCP 2017 Corporate Plan). You also failed to note how, just a few weeks ago, the Aga Khan announced he was gifting a $25 million Garden to the University of Alberta, as well as his prior construction of the $300 million dollar Aga Khan Museum in Toronto and $54 million Delegation of the Ismaili Imamat building in Ottawa. In total, over the last decade, the Aga Khan has contributed at least $425 million worth of enriching projects to Canada from his own money - but none of this was mentioned in your piece. Do you think this is an important or negligible fact for the Canadian public to know when it comes to their knowledge of the Aga Khan? · delivered over 70 high profile addresses including the 2015 Jodidi Lecture at Harvard University, and a 2014 Address to the Parliament of Canada. 5. While CBC's investigative reporting in your two articles was quite strong when it comes to looking up corporate structures, I am afraid there were a number of important omissions when providing a complete and integral presentation of relevant facts concerning the Aga Khan, which deserves the same amount of investigative rigour. At a time when Islamophobic attitudes are on the rise in Canada, one would expect the CBC to provide more contextualized and responsible reporting concerning the Aga Khan - one of the foremost Muslim leaders striving for a better world and representing the peaceful Islam of the majority, an Islam which is often silenced and overshadowed by political events. Projecting insinuations of tax evasion upon the Aga Khan from the sole fact of him using a corporate structure while neglecting to outline his services and contributions to Canada is a disservice to Canadians and the Aga Khan who has actually given a great deal of his time and material resources to Canada and Canadians - and has asked nothing in return. 6. Finally, if I may say so, I found your article embedding the personal YouTube Video of Sara Boyden for all CBC readers to watch in poor taste and disturbing. Sara Boyden is the Aga Khan's granddaughter and the daughter of Princess Zahra Aga Khan (one of the Directors of the Global Centre for Pluralism). She is a teenage minor and there was absolutely no reason for CBC to drag her personal recreational video into this. As you can see, she had to shut down her entire YouTube channel because of your publication, which has clearly caused her inconvenience. I sincerely hope you consider the comments I offer above for incorporation into your current and future articles and I am available to speak by email or phone to discuss the issues. In order to not disrupt the flow of your current articles, perhaps an "About the Aga Khan" section, containing some of the above, could be placed at the bottom or in a separate box in the midst of the article. In my humble opinion, it is vital for Canadian journalists to inform public discourse in our great country with a full presentation of relevant facts. When this does not happen, we see fake news and superficial conclusions abound. 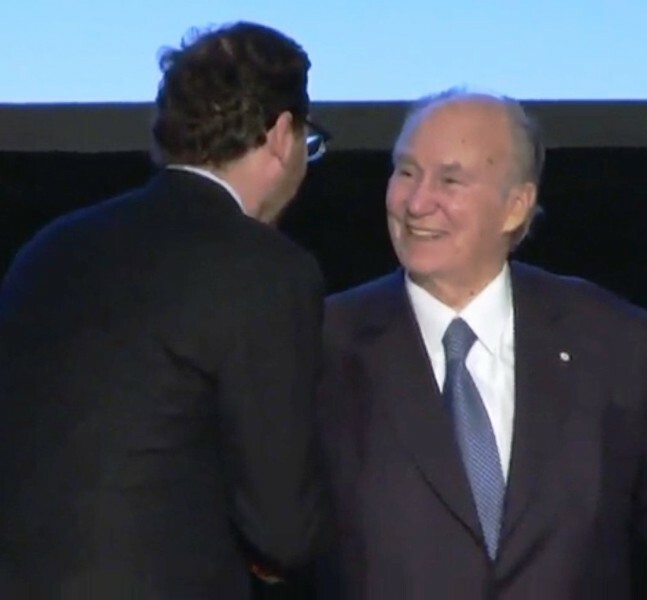 ON MAY 16th the Aga Khan (pictured, left), the spiritual leader to 15m of the world’s Shia Ismaili Muslims, opened a Global Centre for Pluralism in Canada. The centre, which in a nice bit of symbolism occupies what was once a war museum in Ottawa, is meant to be a hub for research and conferences on pluralism. But what exactly does that mean? The word can be defined in so many different ways that the organisers of the opening decided to show a video—“What is Pluralism?”—to clear things up. One common definition is the state of having more than one of anything. Ukraine can be described as a pluralistic country because of its regional and political diversity. Another, which has its roots in the medieval Roman Catholic church, means to hold more than one office or benefice at the same time. A third comes from philosophy and is the recognition of many principles, rather than an ultimate one. For example, Aristotle believed all human action aimed at happiness: not pluralistic. By contrast Martin Seligman, an author and psychologist, says the goal should be called well-being and expanded to include relationships, life satisfaction and accomplishments. The dictionary definition that comes closest to what the new Canadian centre has in mind is the toleration or acceptance of multiple opinions, values and theories. It begins with diversity, a concept often mistaken as being interchangeable with pluralism, but does not end there. 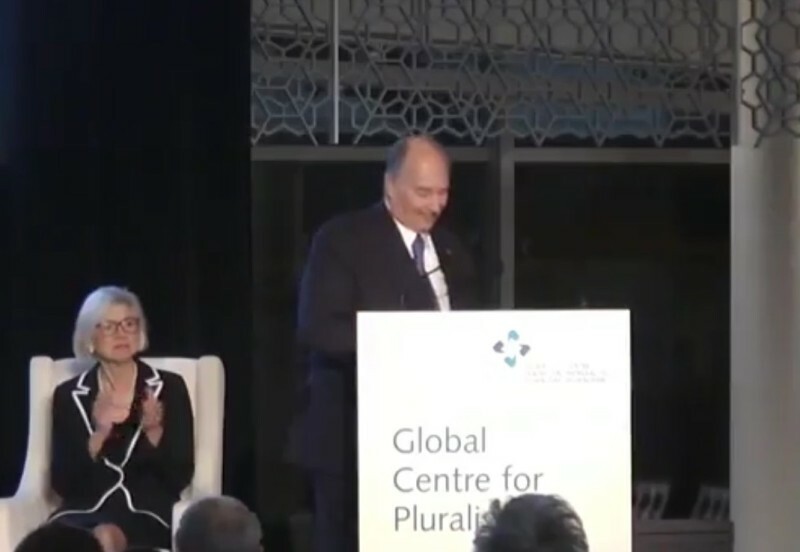 “It [pluralism] does not mean that we want to eliminate our differences or erase our distinctions,” the Aga Khan explained in his speech at the centre’s opening. “What it does mean is that we connect with one another in order to learn from one another, and to build our future together.” The Pluralism Project at Harvard University, a 26-year research project meant to educate future leaders, uses a similar definition. It holds that pluralism involves seeking understanding across cultural and religious divides, while keeping differences intact and promoting common understanding. Pluralism in the sense the centre intends is not a new idea. Its roots can be traced to ancient philosophers in both the East and the West. Mohism, a school of thought that flourished in China between 470 and 390BC, promoted the idea that everyone must love one another impartially in order to avoid conflict. Religious pluralism existed on the Iberian peninsula during the long period of Muslim rule, from 711 to 1492. More recently the idea was popularised by Isaiah Berlin, a British philosopher and essayist. The concept has fallen in and out of fashion. It is back now as a possible antidote to rising nationalist and nativist movements around the world. Summary: The post highlights the arrival of His Highness the Aga Khan to Ottawa for the opening of the Global Centre for Pluralism and, through a pictorial presentation, situates the Global Centre within the overall picture of Sussex Drive as well as offers glimpses of some buildings and monuments close to it. Address by His Excellency the Right Honourable David Johnston, Governor General of Canada at the Official Opening of the Global Centre for Pluralism. On May 16th, His Highness the Aga Khan and His Excellency the Right Honourable David Johnston, Governor General of Canada officially opened the Centre’s new permanent headquarters at 330 Sussex Drive in Ottawa. In recognition of outstanding achievements to support more inclusive societies worldwide, the renowned international jury, selected 10 finalists for the inaugural 2017 Global Pluralism Award. The award is sponsored by Global Centre for Pluralism founded by His Highness the Aga Khan in partnership with the Government of Canada. It features 50,000 US Dollars award kitty to further her work. Watch the livestream on Facebook @GlobalPluralism. Follow #PluralismAward2017 on Twitter to see live updates. and Chair of the Award Jury. Learn more about the 2017 recipients. The Global Pluralism Award recognizes pluralism in action. It celebrates the extraordinary achievements of organizations, individuals and governments who are tackling the challenge of living peacefully and productively with diversity. Founded by His Highness the Aga Khan in partnership with the Government of Canada, the Global Centre for Pluralism is an independent, charitable organization that advances respect for diversity and the benefits of inclusion around the world. Mawlana Hazar Imam is scheduled to arrive in Ottawa on 14 November to preside over the inaugural Global Pluralism Awards ceremony, being held Wednesday. The awards will recognize a number of individuals and organizations that work to build inclusive societies around the world. You can watch the ceremony live at 6 p.m. EST, on 15 November at the.ismaili/live. This year’s selection process saw 230 nominations from 43 countries. Three winners will be recognized at the ceremony, along with seven honourable mentions. The awards will be presented by Mawlana Hazar Imam, who is Chairman of the Board of the Global Centre for Pluralism. The ceremony will be held at the Delegation of the Ismaili Imamat. The 2017 award winners are: Leyner Palacios Asprilla of Colombia for his work as a community leader and human rights advocate fighting for the rights of Colombian conflict victims; Kenya’s Alice Wairimu Nderitu for her work as a peacemaker, conflict mediator, and gender equality advocate, emphasizing the importance of an approach to peacemaking that values diversity; and Australian human rights lawyer Daniel Webb, a leader in protecting the rights of refugees and asylum seekers. The ceremony will also be attended by the Rt. Hon. Beverley McLachlin, Chief Justice of Canada; the Rt. Hon. Adrienne Clarkson, Global Centre for Pluralism board member and former Governor General of Canada; and the Rt. Hon. Joe Clark, former Prime Minister of Canada and Chair of the award jury. Other jurors include His Worship Naheed Nenshi, Mayor of Calgary; Bience Gawanas, lawyer and special adviser to the Minister of Poverty Eradication and Social Welfare of Namibia; Dante Caputo, former Foreign Minister of Argentina; and Pascale Thumerelle, former vice-president of Vivendi in France. Mawlana Hazar Imam arrived in Ottawa earlier this evening, commencing a visit to Canada that will include attending the Global Pluralism Award ceremony as well as meeting with the Jamat of Eastern Canada. AKDN Resident Representative for Canada Dr. Mahmoud Eboo, President of the Ismaili Council for Canada Malik Talib and Vice-President Karima Karmali greeted Mawlana Hazar Imam upon his arrival. A new global conversation about diversity is urgently needed. While every society in the world today is diverse in some way – the West, developing countries and emerging powers – diversity is often seen as a threat. Efforts to eliminate difference and impose the will of the majority drive far too many of today's conflicts. We see this in Myanmar where Rohingya Muslims are being cruelly persecuted for their beliefs. Fear of the "other" is on the rise. New data from Statistics Canada show that hate crimes targeting specific religious and ethno-cultural groups have increased in Canada. In Europe, an analysis of the Brexit vote by The Economist suggests fear of immigrants and refugees was the crucial factor behind the decision of Britons to leave the European Union. Diversity is not the problem. Negative responses to diversity are the problem. Against this backdrop, it is important to highlight the efforts of people who are choosing a different path. Pluralism is the deliberate choice by governments, civil-society organizations and individuals to treat diversity as an asset rather than an automatic liability. 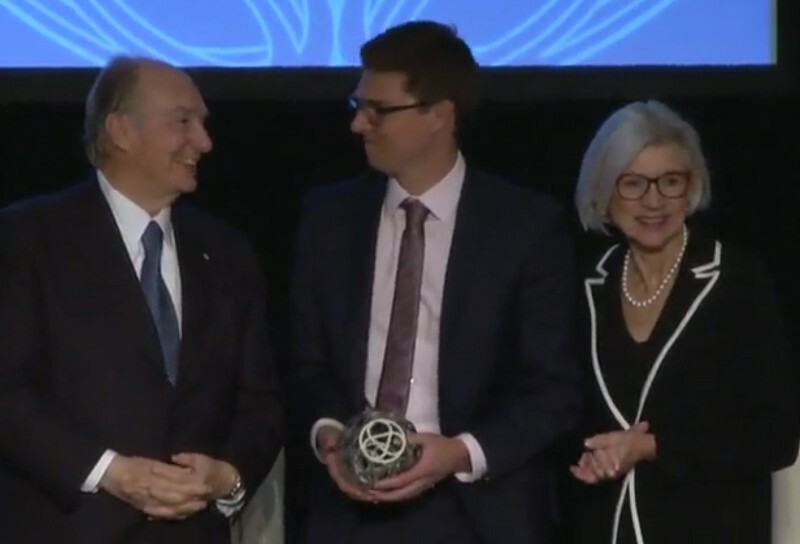 The Global Pluralism Award, a new prize offered by the Global Centre for Pluralism, was envisioned by the Aga Khan, chair of the centre's board, as a way to celebrate extraordinary examples of pluralism in action. The ceremony for he Awards has now concluded. H.H. The Aga Khan presided over the ceremony with Chief Justice of Canada, The Right Honourable Beverley McLachlin. Princess Zahra attended the event. Above: Leyner Palacios Asprilla, Alice Nderitu and Daniel Webb are being honoured by the Canadian-based Global Centre For Pluralism. The Global Pluralism Award honours three people around the world for their efforts to build an inclusive society in their community. Former prime minister Joe Clark, who chaired the awards committee, said that the variety of applications broadened his own definition of pluralism, and highlighted the need for pluralistic societies. "Tensions are rising in the world," Mr. Clark said. "There needs to be an emphasis on the ways those tensions can be addressed, and respect for differences should be encouraged." The selection committee received applications from 43 countries and travelled to many of the applicants' countries to see what kind of impact their humanitarian work had made. "There were 230 candidates from 43 countries," said Mr. Clark. "We bore in mind that we wanted our own selections to reflect that variety. The three prize winners and seven honorary mentions gives some sense of the variety of applications." This is the first year that the Ottawa-based Centre For Global Pluralism has given the awards. The jury of seven international members – which also included Argentina's former foreign affairs minister, Dante Caputo, and Calgary mayor Naheed Nenshi – judged applicants on their impact on their community, authenticity and innovation in how they tackled conflict. The three winners used the values of pluralism to break apart divisions of race, gender, economic status, and tribal conflict. The winners included a Kenyan mediator who battled gender norms and resolved conflicts across Africa, an Australian lawyer who worked to shift public opinion on migrants, and a Colombian lawyer who would heal wounds in his community after an attack that killed dozens of his family members. Winners will receive their awards in Ottawa on Nov. 15. Mawlana Hazar Imam presided over the inaugural Global Pluralism Award on 15 November 2017. The Award, presented biennially, is designed to seek out those, “… who explore and investigate, and who then reflect on the difference that pluralistic commitments can make in specific contexts, at specific moments, in specific places,” Hazar Imam said. The Global Pluralism Award highlights what a commitment to pluralism can look like in practice. Mawlana Hazar Imam and the Rt Honourable Beverley McLachlin, Chief Justice of Canada, presented the Award at a ceremony held at the Delegation of the Ismaili Imamat, in Ottawa, Canada. Of the 230 nominations received from over 43 countries, the international jury chaired by former Canadian Prime Minister the Rt Honourable Joe Clark, selected three recipients and seven honorable mentions to receive the award — celebrating a diversity of geographies as well as approaches to promoting pluralism in their home countries. Each award winner has approached resolving disputes in a diverse manner, focusing on different issues. Leyner Palacios Asprilla was recognised for his work as a founder of the Committee for the Rights of Bojayá Victims. During Colombia's civil war between the government in Bogotá and the Revolutionary Armed Forces of Colombia (FARC), individuals in rural areas, often belonging to one of Colombia's less recognised ethnic groups, bore the brunt of the violence between the two sides. Palacios Asprilla founded his organisation to ensure that the voices of the victims of civil war were heard as the two sides negotiated a peace agreement in the capital. Alice Wairimu Nderitu was acknowledged for her extraordinary work bringing communities in Kenya and Nigeria together after long ethnic and religious conflicts. Nderitu's process of facilitating mediation ensured that each group stayed true to their own values throughout the negotiation. Nderitu sought sustainable peace, which she said requires acceptance of differences, as opposed to superficial unity. The third award recipient, Daniel Webb, received recognition for his work representing asylum seekers in Australia detained on the small islands of Nauru and Manus. Through his work, Webb seeks to ensure that Australia treats incoming refugees and asylum seekers humanely. In accepting his award, Webb noted that pluralism requires people to "value and respect difference", which in turn requires the understanding that "all people... deserve basic dignity and respect." In addition to the three award recipients, seven organisations received honourable mentions for work that ranged from filling gaps in humanitarian relief to helping indigenous communities tell their stories, to the innovative use of technology to build empathy and improve communication. As Mawlana Hazar Imam noted in his remarks, these examples are an essential aspect of the promotion of pluralism. "As we walk together on that road [to a better world], the example set by others can be a powerful source of inspiration." What a great pleasure it is to join all of you in this wonderful celebration. The extraordinary people we honor this evening have all demonstrated the same inspiring quality - the ability to respond creatively to the challenges of diversity. At the same time, however, what is also most impressive tonight is the sheer diversity of their own particular stories. As you may have noted, the three Pluralism Awardees come from three continents, and our Honorary Awardees come from seven additional countries. But more than that, the nature of their work is itself truly multi-dimensional, as you will see as you learn about their accomplishments in more detail. As you have heard, I am currently marking sixty years in the role I inherited in 1957. This role has taught me a great deal about the challenges of pluralism - about the way those challenges can be met, but also the way those challenges are growing. These are not new challenges, they are as old as the human race. They include the human temptation to define our personal identities by what we are against - rather than what we are for. They include the temptation to view difference, whenever it may appear, as something that might complicate one’s life, rather than as something that can enrich one’s life. And they include the sometimes instinctive reaction that difference is a threat to be avoided rather than an opportunity to be embraced. Some people make the mistake of thinking that Pluralism requires them to dilute or de-emphasize their own distinctive identities. That's not true. What it requires is to ensure that one’s individual identity is strong enough to engage confidently with those of other identities as we all walk together along the road to a better world. And as we walk together on that road, the example set by others can be a powerful source of inspiration—and that is why the Global Centre for Pluralism has established these awards. Their essential purpose is to share the power of inspiring examples with an ever-wider Community of Pluralism all across our world, a Community that will then create a growing momentum for inclusion - rather than exclusion – as a way to respond to the changes of our world. In many ways, the establishment of this Award follows the pattern of the Aga Khan Award for Architecture which was established several decades ago. The final outcome of the Awards process is important, of course, but what is also important (both for Architecture - and now for Pluralism), is the far-reaching process that leads to the selection of our Awardees. It is a process that engages, over a two-year period, scores - indeed hundreds - of dedicated individuals. It includes those who search for qualified nominees, those who explore and investigate, and who then reflect on the difference that pluralistic commitments can make in specific contexts, at specific moments, in specific places. It is one thing for us to talk about the general principles and theories of Pluralism. But it is even more exciting to see, close up, what Pluralism can mean in practice. As I mention that process, I want to salute all who have participated in it -including the Selection Committee, and our Jury - led by former Canadian Prime Minister Joe Clark and including His Worship Naheed Nenshi, Advocate Bience Gawanas, Dr. Dante Caputo and Madame Pascale Thumerelle. Those very qualities certainly characterize the Chief Justice herself. Her leadership of the Supreme Court will be greatly missed when she retires at the end of this year. It is my honor tonight to express to her our profound thanks for her powerful example, as I ask you to join me in welcoming her to this podium. (Ottawa, Canada) — Ottawa is a natural home to an outfit called the Global Center for Pluralism. As other western countries have closed their borders to refugees and asylum seekers in recent years, Canada became more welcoming. It has done so by relying mostly on the openness if its citizens — Canada has a unique system of refugee resettlement that allows groups of private citizens to sponsor refugee families. Amidst an unprecedented global refugee crisis, Hungary erected a border fence, Australia is deporting people to island prisons, the United Kingdom opted to leave Europe, and the United States capped the number of people admitted as refugees to an historic low. Yet Canada decidedly bucked this trend and has embraced diversity as a source of national pride. Now, Canada, in partnership with a large global NGOs, is seeking to export these ideals. The direct invocation of “pluralism” as an ideal to which societies should strive is a new trend in global affairs. 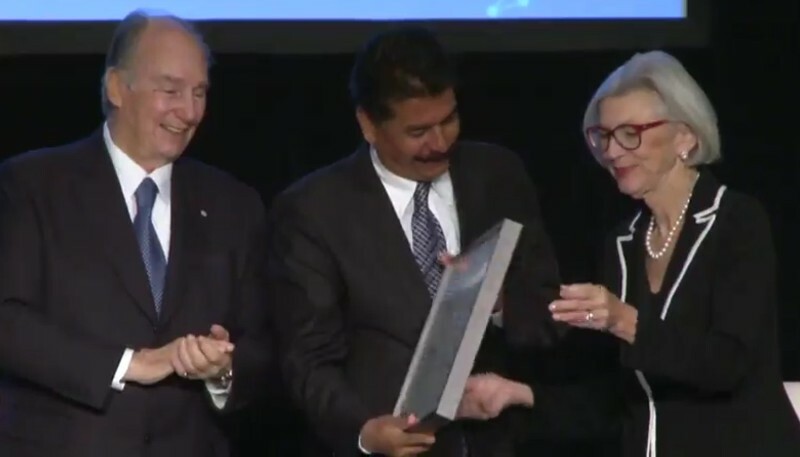 KARACHI: Aga Khan, chairman of the Global Centre for Pluralism, presented the inaugural Global Pluralism Award during a ceremony held in Ottawa the other day. 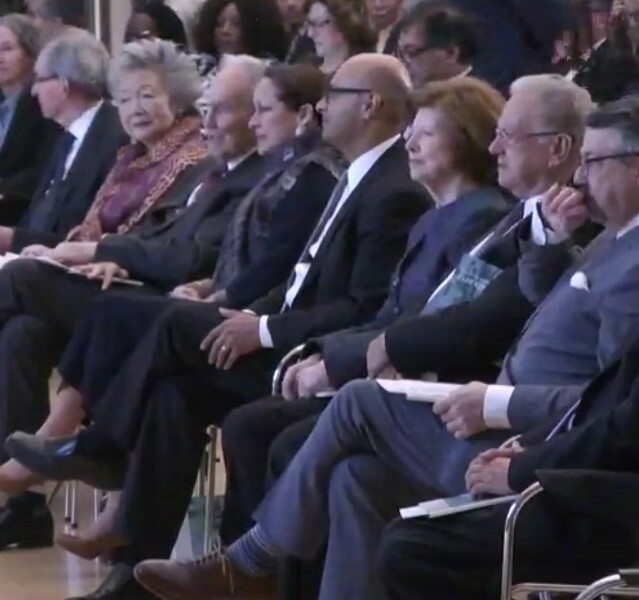 Apart from a delegation of the Ismaili imamat, the ceremony was attended by Canada’s Chief Justice Beverley McLachlin, according to a statement on Thursday. 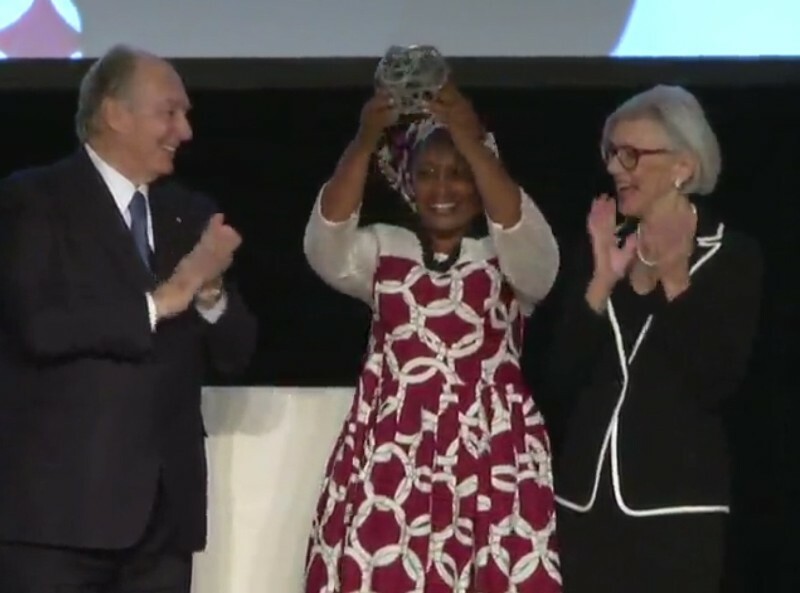 The three winners — Leyner Palacios of Colombia, Alice Nderitu of Kenya and Daniel Webb of Australia — were recognised for their sustained commitment to building more inclusive, peaceful societies. 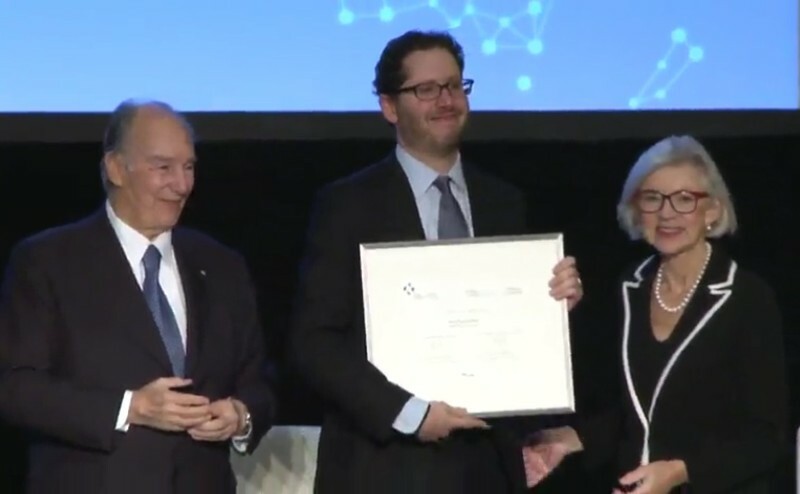 “The example set by others can be a powerful source of inspiration — and that is why the Global Centre for Pluralism has established this award. Their essential purpose is to share the power of inspiring examples with an ever-wider community of pluralism all across our world, a community that will then create a growing momentum for inclusion — rather than exclusion — as a way to respond to the changes of our world,” the statement quoted the Agha Khan as saying. Each winner was presented with fifty thousands Canadian dollars to further their work in support of pluralism. 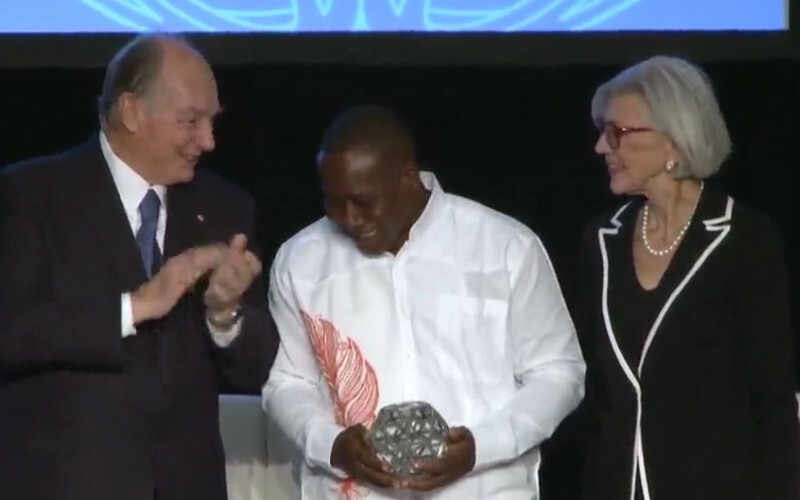 The award was envisioned by the Aga Khan to celebrate extraordinary examples of pluralism in action. 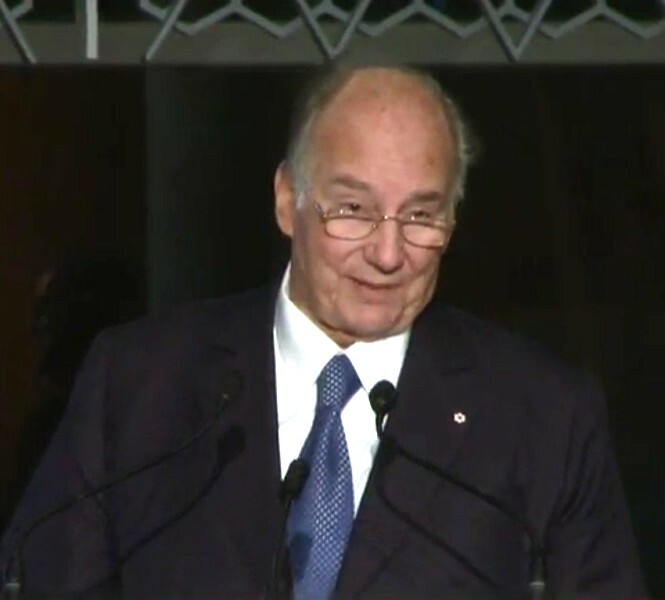 It was launched in a year that is significant for both the centre’s founders — Aga Khan and the government of Canada. A Kenyan peacemaker is among three winners of the inaugural Global Pluralism Award from Global Centre for Pluralism in Canada. Alice Nderitu was recognised for her conflict mediation efforts alongside Leyner Palacios of Colombia and Daniel Webb of Australia on Wednesday. 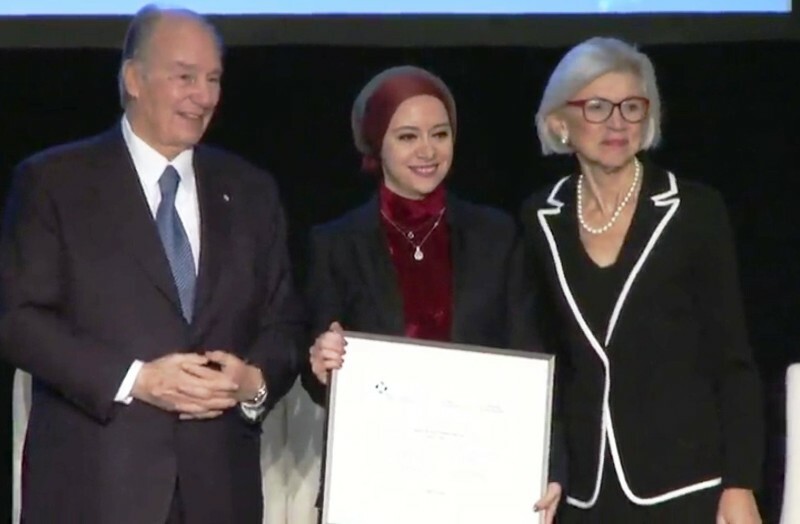 The Aga Khan, Chairman of the Global Centre for Pluralism, presented the awards during a ceremony held at the Delegation of the Ismaili Imamat in Ottawa. The three winners were recognised alongside seven honourable mentions for their unparalleled and sustained commitment to building more inclusive, peaceful societies. The honourable mentions went to ATD Quart Monde, France; BeAnotherLab, Spain; Fundación Construir, Bolivia; Hand Talk, Brazil; Sawa for Development and Aid, Lebanon; Wapikoni Mobile, Canada and Welcoming America, United States. The inaugural Global Pluralism Award recognizes pluralism in action. It celebrates the extraordinary achievements of organizations, individuals and governments who are tackling the challenge of living peacefully and productively with diversity. If you dare to turn on the news these days, you may find it hard to refute we live in an age of increasing xenophobia, intolerance and nationalism. That’s because these stories usually dominate the airwaves and our social media feeds. This is why, it was a privilege to attend the Global Centre For Pluralism’s award ceremony earlier this month, where award winners from all corners of the world showed that pluralism—which is the concept of recognizing, valuing, respecting and celebrating our differences—is alive well. The prestigious Global Pluralism Award recognizes individuals and organizations in all sectors working to promote diversity and inclusivity. 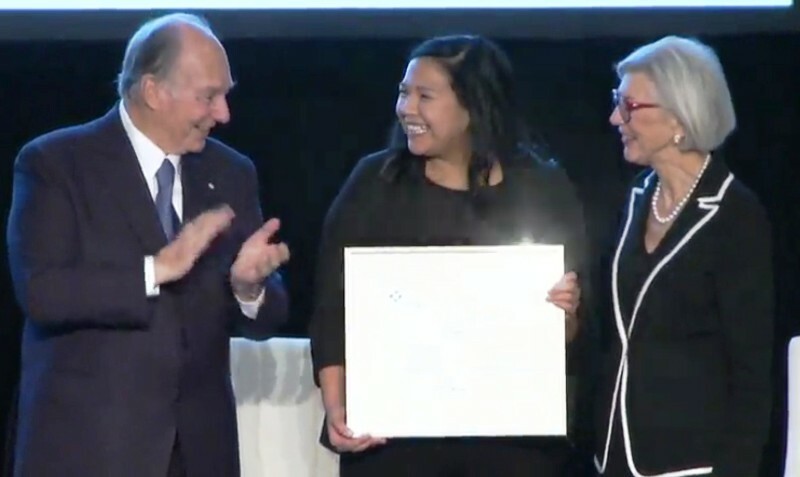 The award is presented by the Aga Khan Foundation and the Government of Canada—the two co-founders of the Global Centre for Pluralism, a not-for-profit institution headquartered in Ottawa whose aim is to advance respect for diversity and enable meaningful dialogue and research surrounding the benefits of pluralism. The three award winners (who were picked by an award jury consisting of independent experts from around the world and a two-year nomination process) were chosen for their ability to respond creatively to the challenges of pluralism by changing the negative mindsets and narratives that often accompany diversity, as well as demonstrating how differences can be a major asset rather than a burden for communities. Through their sacrifice and hardships, each honoree was able to promote pluralism in truly revolutionary ways and ultimately set the precedence for the future of pluralism and its ability to transform communities into inclusive, diverse and peaceful societies. 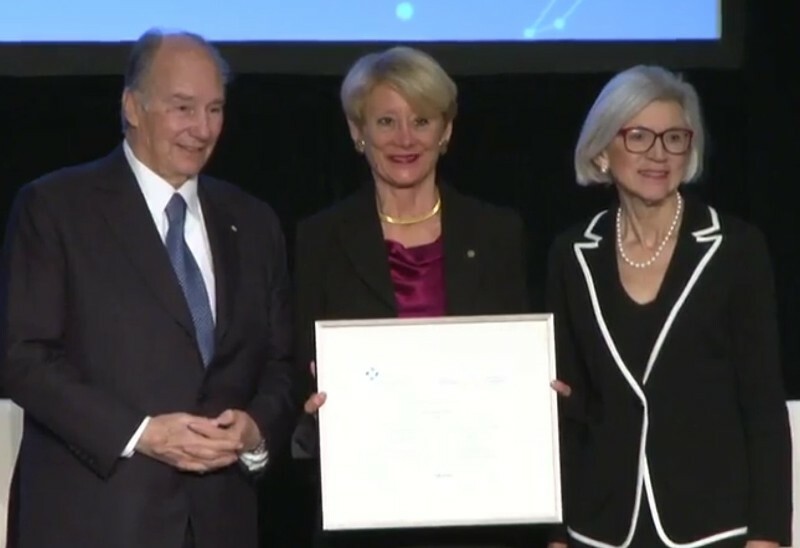 The inaugural award ceremony featured the Chief Justice of the Supreme Court of Canada, Beverly McLachlin and The Aga Khan who recognized three champions of pluralism. The three winners included Leyner Palacios Asprilla, co-founder of the Committee for the Rights of Victims in Bojayá, Colombia; Alice Wairimu Nderitu for her work as a peacemaker with the Kenya National Commission on Human Rights; and, Daniel Webb, an Australian human rights lawyer who coordinated the #LetThemStay campaign in 2016. Leyner Palacios Asprilla, cofounder of the Committee for the Rights of Victims in Bojayá, found himself victim to the constant violence between guerilla and paramilitary forces that had rattled Colombia for decades. This escalated when in the spring of 2002, the people of Bojayá, the area in which Leyner lived, were caught in the middle of a battle between the United Self Defense Forces of Colombia (AUC) and the Revolutionary Armed Forces of Colombia (FARC). The conflict escalated until the FARC guerilla forces eventually bombed an Augustinian missionary church where innocent residents had taken refuge, killing 79 people—48 of which were infants and children. Tragically, 28 members of Leyner’s own family were killed in the bombing. In 2014, Leyner founded the Committee for the Rights of Victims of Bojayá in an effort to unite the voices of all marginalized communities found within Bojayá—such as the Afro-Colombian and Eberá communities, who were often at odds with each other—in order to demand their basic human rights and represent themselves at the peace negotiations between the guerilla forces and the government. His work ultimately led to his nomination for the 2016 Nobel Peace Prize and more importantly, influenced the FARC forces to publicly apologize for the 2002 massacre and request forgiveness from community members—an effort which eventually led to more concrete measures being implemented, such as the planning of a memorial site, individual and collective reparations and the identification of victims’ bodies. Alice Wairimu Nderitu began her work as a peacemaker by joining the Kenya National Commission on Human Rights as a commissioner in order to try and prevent the atrocious Kenyan violence spurned by the 2007 elections, which resulted in 1,300 Kenyan being killed and over 600,000 becoming displaced, from happening during the next election cycle. As the only woman amongst 100 elders from 10 different ethnic communities, Alice was able to use her role as both a woman and a peacemaker to successfully lead the 16-month long peace negotiations that resulted in peaceful elections in 2013. Alice now works towards efforts of peace and gender equality by mediating between ethnic communities throughout Nigeria. In Nigeria’s Southern Plateau, for example, Alice currently works as a lead mediator between 56 ethnic communities, each represented by six people with six key roles—a representative of the traditional council, a religious leader, a cultural development leader, a respected opinion leader, a woman and a representative for the youth. These representatives are then asked to discuss their problems, potential solutions and roadblocks to these solutions and create a position paper, which is then discussed by each individual community during meetings between all 56 groups. Alice’s work in similar situations has led to peace throughout Kenya and Nigeria, the likes of which hadn’t been experienced in decades. Daniel Webb, an Australian human rights lawyer, coordinated the #LetThemStay campaign in 2016 in an effort to raise awareness about the atrocities and human injustices refugees on the islands of Manus and Nauru faced daily by the hands of the Australian government. Daniel’s campaign highlighted the Australian government’s policy of sending any asylum seeker who arrived to Australia by boat—including pregnant women, newborn infants and children travelling by themselves—to detention centers on offshore islands in an effort to deter future asylum seekers from trying to gain refuge in Australia. Since the detention centers’ openings in 2013, numerous instances of violence, sexual assault, medical neglect and even murder have been reported, with a lack of basic living conditions leading to the death and devastating injustices of most of the prisoners. Through the #LetThemStay campaign, Daniel has been able to sway public opinion towards understanding the asylum seekers as fellow human beings deserving of respect and compassion. Since its conception, Daniel and his team have been able to prevent the deportation of more than 300 refugees and prompted the release of 230 people from the detention centers, and their work continues to advocate for the release of the rest of the refugees from the islands. ATD Quart Monde, an international organization headquartered in Paris dedicated to eradicating poverty, which has empowered those in poverty through legislation such as the passing of a minimum welfare income for those unemployed as well as universal health coverage throughout France. BeAnotherLab, a multinational group headquartered in Spain whose aim is to decrease implicit bias and promote empathy through virtual reality technologies that help participants empathize with others by creating the illusion of being in another person’s body. Fundación Construir, a Bolivian think tank that mediates between indigenous communities in Bolivia and the government in an effort to integrate indigenous communities into the legal system and empower their development in positive ways. Hand Talk, a Brazilian social enterprise that has created groundbreaking technology that offers users the ability to translate spoken language into Brazilian sign language in an effort to provide the deaf community with new tools for communication and integration. Sawa for Development and Aid, a grassroots and youth-led non-profit in Lebanon that provides humanitarian relief, livelihood programming and educational centers to Syrian refugees in order to ease tensions between refugees and their host communities. Wapikoni Mobile, a Canadian non-profit which empowers indigenous youth by providing young people in remote locations the opportunity to learn about filmmaking techniques using modern technologies, eventually leading to the presentation of their work in screenings throughout Canada—and even the Sundance Film Festival. Welcoming America, an American non-profit that builds the relationship between new immigrants and their new communities by providing programs for immigrants to better integrate into society as well as encouraging interactions between immigrants and long-time residents. 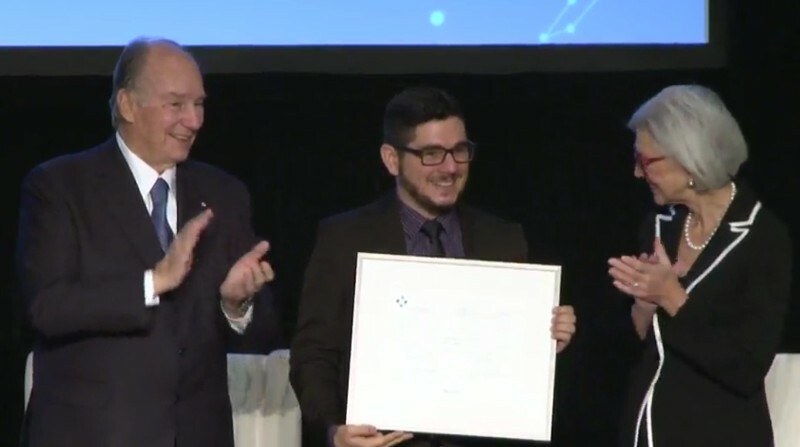 Through this award, the Global Centre for Pluralism has sought to celebrate and support in very tangible ways those who do the hard work to advance pluralism in action. Most importantly, the Centre is also putting pluralism on the global agenda, demystifying what the concept really is by showing rather than telling what it really means to advance diversity, inclusion and peacemaking. By showcasing examples of how people of different ethnic, religious and cultural backgrounds are able to thrive because of the differences in their identities and cultures, advocates for pluralism can disperse the fear that differences are dangerous and show instead that diversity is a saving grace in an age of conflict and fear. Face à une mondialisation accélérée et des migrations de plus en plus incontrôlables, le pluralisme en action s’impose comme l’un des défis majeurs au même titre que la lutte contre le changement climatique. Il est plus que jamais essentiel d’en comprendre les enjeux. Ces enjeux sont au coeur de la mission du Centre mondial du pluralisme qui le définit comme « une éthique de respect des différences entre les êtres humains ». Cette organisation indépendante et à but non lucratif, créée par l'Aga Khan en partenariat avec le gouvernement canadien, sert de plateforme pour l'analyse comparative, l'éducation et le dialogue sur les choix et actions menés en faveur du pluralisme dans le monde. Inscrire le pluralisme à l'agenda de la « conversation mondiale » répond à un besoin urgent : favoriser une culture de l'inclusion pour entraver la course folle de la violence, de l'oppression ou de l'ignorance, engendrée par l'exclusion. Il revient à l'ensemble de la société d'amplifier la résonance du pluralisme fondé sur le respect et l'intégrité de la personne humaine, l'égalité entre les femmes et les hommes, les droits des plus vulnérables et ceux des enfants, en particulier. Encourager le pluralisme en action, c'est l'objectif du Prix mondial du pluralisme dont la première édition a fait l'objet d'une impressionnante cérémonie à Ottawa le 15 novembre dernier. Les trois lauréats sélectionnés par le jury contribuent, par leur courage et leur détermination, à « la création de sociétés dans lesquelles la diversité humaine est protégée et estimée ». Ainsi Alice Wairimu Nderitu du Kenya, infatigable médiatrice de conflit, a intégré les femmes et les jeunes au processus de paix, portant la conviction qu'un dialogue respectueux d'une multiplicité de voix est la seule manière de garantir une paix durable. Le Colombien Leyner Palacios Asprilla a remédié à la marginalisation et à la violence historiques subies par les communautés africaines et autochtones de la Colombie exclues jusqu'alors des instances de décision. L'Australien Daniel Webb a permis à des demandeurs d'asile d'échapper à des conditions de détention épouvantables et a su construire un plaidoyer efficace en mobilisant ses concitoyens. Outre les lauréats, sept « mentions d'honneur » ont été distinguées parmi lesquelles ATD Quart Monde France qui, depuis 60 ans, agit pour éradiquer la misère et faire changer le regard porté sur les pauvres. Cette pratique du pluralisme est une ressource pour tous les acteurs y compris ceux du secteur privé. La diversité des expériences, des profils, des sexes, des nationalités des salariés est une source d'innovation et de richesse pour les entreprises. Il est de leur intérêt de prendre cette dimension en compte dans leur gouvernance et leur création de valeur. En matière de gouvernance, le Parlement européen et le Conseil ont adopté, en ce sens, la directive du 22 octobre 2014 dont les termes sont clairs : « La diversité des compétences et des points de vue des membres des organes d'administration, de gestion et de surveillance des entreprises [...] contribue à une surveillance efficace de la gestion et à une bonne gouvernance de l'entreprise ». Elle permet de « battre en brèche le phénomène de la 'pensée de groupe' ». Les grandes entreprises doivent désormais rendre compte de la diversité de leurs instances de décision dans leur communication. La culture de l'inclusion dote les dirigeants des moyens nécessaires à une prise de décision éclairée. Elle fait partie des « coups d'avance » qui permettent de progresser sur l'échiquier de la performance globale. Au coeur de la création de valeur des organisations et de leurs parties prenantes, la responsabilité sociétale d'entreprise (RSE) offre au pluralisme un vaste rayonnement puisqu'il est inhérent au dialogue que mène l'entreprise avec l'ensemble des acteurs de son écosystème. Le pluralisme en action s'impose afin d'anticiper au mieux les attentes des investisseurs, des salariés, des clients, des fournisseurs, des communautés locales, des autorités publiques des pays où l'entreprise exerce son activité. La RSE y recourt comme une force de différenciation et d'anticipation dans une compétitivité exacerbée. Elle est déployée notamment par les directions de ressources humaines. S'attacher les meilleures compétences exige en effet une rigoureuse gestion des talents à l'international comme Les Echos l'ont récemment illustré dans un dossier spécial . En dépit des positions soutenues par le Président Donald Trump qui vient d'annoncer le retrait des Etats-Unis du Pacte mondial des Nations unies sur les migrants et les réfugiés, le pluralisme en action est nécessaire à la préservation de sociétés diversifiées et pacifiées. Il promet de multiples rendez-vous pris par les Etats, les entreprises et les citoyens sur les scènes nationales et internationale. In the 21st century, living with diversity is a global challenge that has become even more pressing with the rising tide of global migration, refugee flows and displacement. Today, diverse societies are the norm rather than the exception. Yet, acceptance, respect and accommodation of this diversity have proven elusive. Often, the response to increasing diversity in society is fear and anxiety. At the very worst, forced displacement, violent conflict and genocide are the result. A recent example is Myanmar where Rohingya Muslims are being cruelly persecuted. The civil war raging in South Sudan among ethnic groups has been called ethnic cleansing by the United Nations Commission on Human Rights in South Sudan. In the West, the rise of populism, extreme nationalism and xenophobia has demonstrated that industrialized countries are not immune from hate-filled rhetoric and hostility toward those who are different. When a society’s diversity is respected and citizenship is widened to include everyone, the outcomes are positive – economies benefit, peace agreements are sustained and immigrants succeed, just to mention a few. Choosing pluralism may not be easy, but it is imperative that the global community changes its response to diversity. A new response is required that sees diversity as a potential asset rather than an automatic liability. Such a shift demands not only changes to the “hardware” of pluralism – the institutions of law and politics – but also to the “software” of pluralism – the perceptions and attitudes that inform how societies function. In 2017, the Global Centre for Pluralism inaugurated its international headquarters in Ottawa, Canada in a year rich in programming and events that culminated with the first Global Pluralism Award ceremony in November. In the next three-year phase, the Centre will continue to develop its core strengths as a catalyst for knowledge exchange and a platform for shaping the global conversation about diversity. As well as a major new publication, Through a Pluralism Lens: Toward a Global Response to Diversity, to be published in 2018, the Centre will continue to develop learning resources to help practitioners in different fields apply a pluralism perspective to their work. A program of engagement with the Centre’s 2017 Award winners will bring concrete examples of “pluralism in action” to global audiences. Work to develop a global set of indicators for pluralism will continue. Building these connections is the work of pluralism and the mission of the Centre. Light lunch to be served at 11:30 a.m. Event to begin at 12:00 p.m. In her book, Kenya, Bridging Ethnic Divides: A Commissioner’s Experience on Cohesion and Integration Alice Nderitu takes us behind the scenes to understand the efforts to build peace and cohesion between different ethnic and racial communities in Kenya. She has worked with elders, mediated between political leaders at the highest level and founded Uwiano Platform for Peace, an innovative conflict prevention tool after the violent crisis of 2007-2008 and leading up to Kenya’s 2013 general elections. Join us at the Global Centre for Pluralism to explore the lessons that can be learned from Kenya’s experience to inform other conflict-afflicted countries grappling with the challenges of conflict mediation, reconciliation and post-conflict institutional reform. Alice Nderitu is a Senior Advisor with the Geneva-based Centre for Humanitarian Dialogue. She was the 2011 Transitional Justice Fellow of the Institute for Justice and Reconciliation, South Africa. She has been internationally recognized for her work in conflict prevention and for her innovative approach to mediation: Woman Peace Maker of the Year (2012) from the Joan B. Kroc Institute for Peace and Justice; the Global Pluralism Award (2017), by the Global Centre for Pluralism; and the Jack P. Blaney Award for Dialogue (2017-1 by the Simon Fraser University Morris J. Wosk Centre for Dialogue. Watch Alice’s story here. This event is organized by the Global Centre for Pluralism and the Simon Fraser University Morris J. Wosk Centre for Dialogue, as part of the proceedings for the Jack P. Blaney Award for Dialogue, recently awarded to Alice.